beautiful Peruvian tapestries. 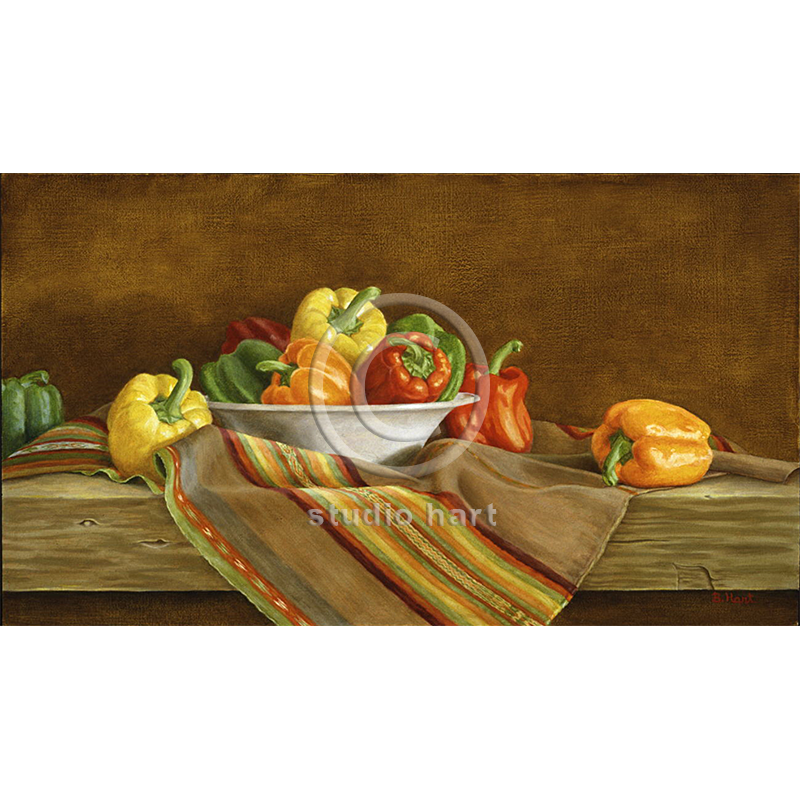 This painting is a classical still life with one of my favorite subjects, food! Materials: Original oil on linen. Rich brown solid wood frame. Size: Canvas 14×24″. Framed 18×28″.